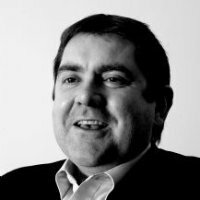 Neil Watkins has more than 20 years’ experience in change, programme and project management across a wide range of public- and private-sector organisations. His experience includes work with the Department for Education(DfE), the Prime Minister’s Delivery Unit, Department of Health, BUPA, Ford Motor Company, Microsoft, Deutsche Bank and Debenhams. Neil combines successful programme delivery experience with analytical and interpersonal skills to drive change across all levels of an organisation. The achievement of which he is most proud is successfully leading a series of workshops to define how children’s services in England are to be reformed, measured and delivered over the next 10 years. The resulting product linked national objectives for children to government targets, to local service criteria and local targets in a ‘clear line of sight’ from top to bottom, and has been praised as one of the ‘best examples of joined-up government ever seen’.